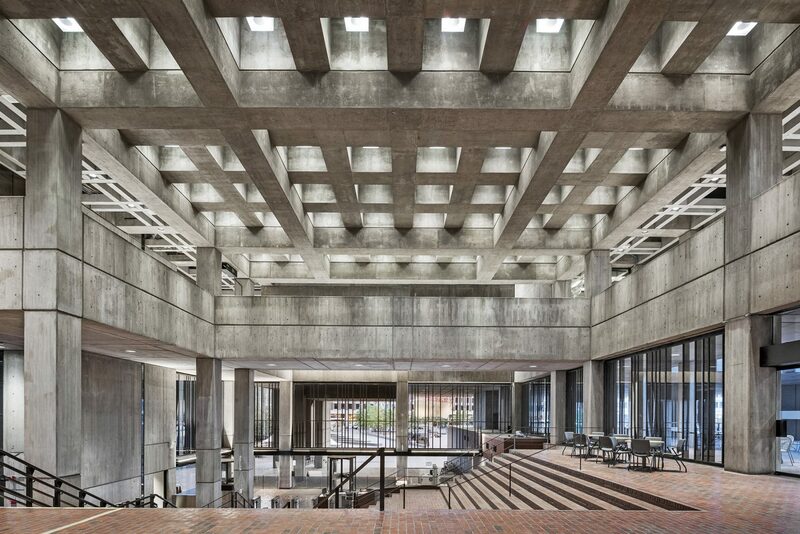 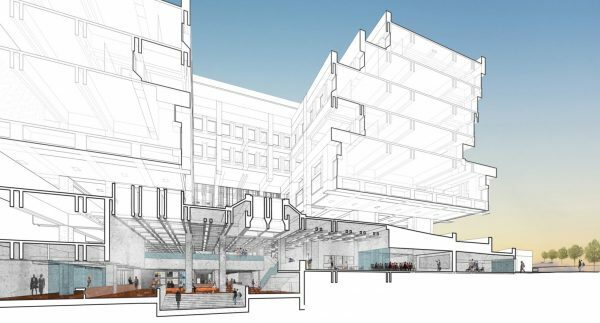 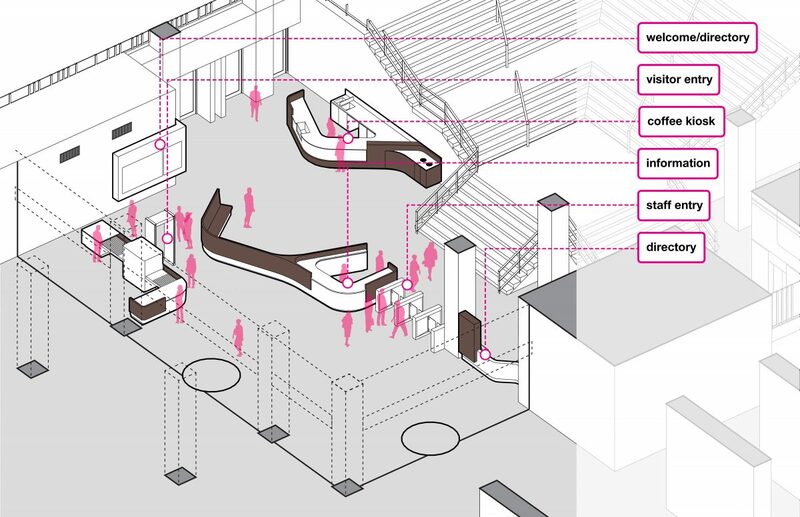 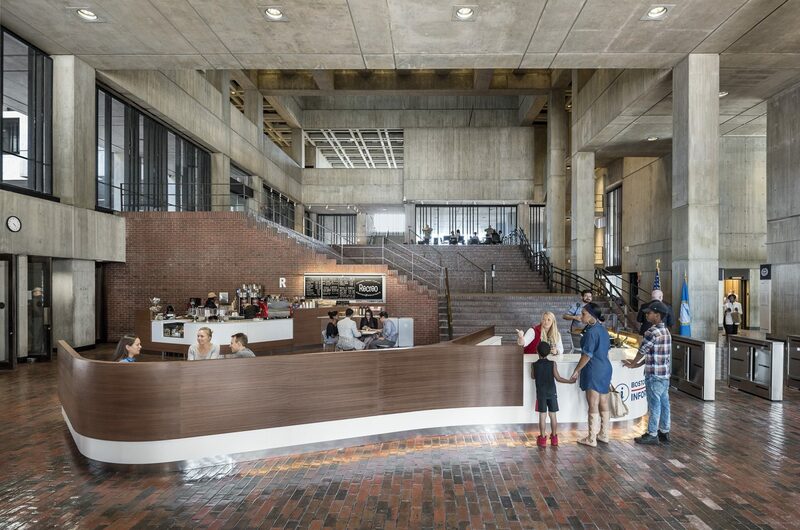 Utile worked with the City of Boston Public Facilities Department on improvements to Boston City Hall’s main plaza-level Lobby. 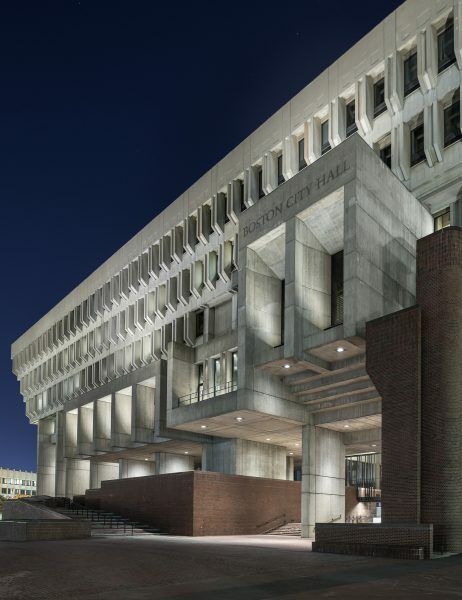 Designed by Kallmann, McKinnell, and Knowles in the 1960s as an expression of open and progressive municipal government, Boston City Hall is recognized as among the most important municipal buildings of its kind in the United States and is internationally known as an exemplar of “brutalism” or concrete modernism. 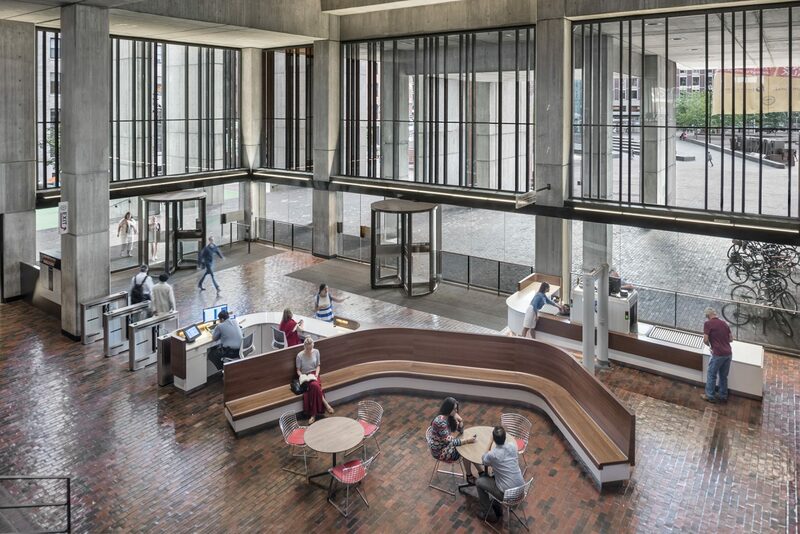 Today, changes in technology and security needs have rendered the once-open Lobby cramped and unwelcoming. 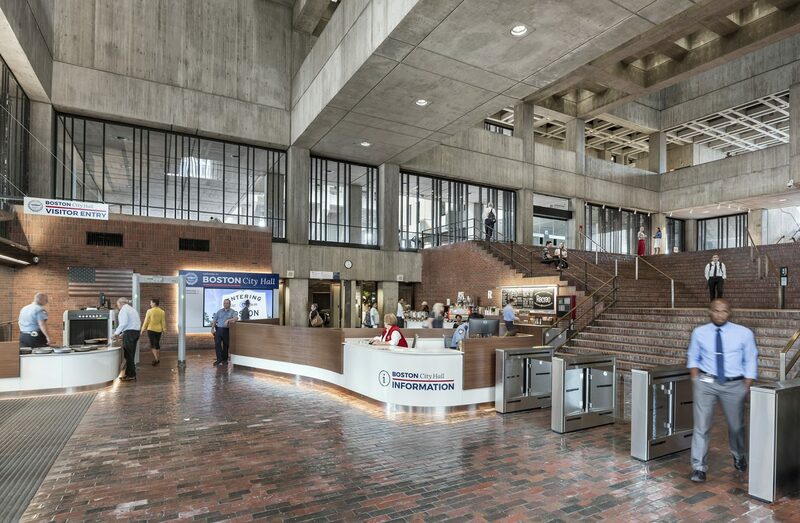 The project creates a more open, inviting, and efficient entrance to City Hall by redesigning the security sequence, providing wayfinding information to make City Hall easier to navigate, adding a coffee kiosk and comfortable seating for visitors, and replacing the non-functioning original lighting with LEDs to improve light levels and gain energy efficiency. 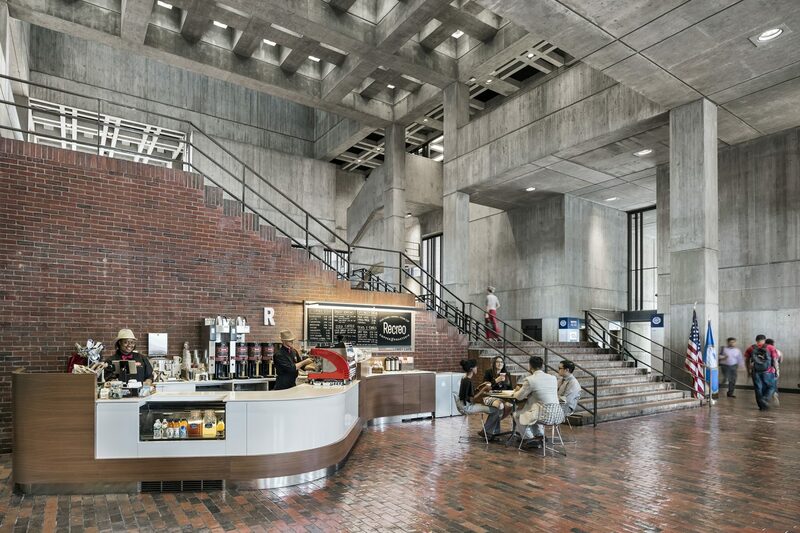 Utile worked closely with DoIT, the City of Boston’s Innovation and Technology Department, and Small Design Firm, an interactive design studio, to design new wayfinding elements in the main Lobby and elevator lobbies throughout the building utilizing the City of Boston’s new graphic identity.